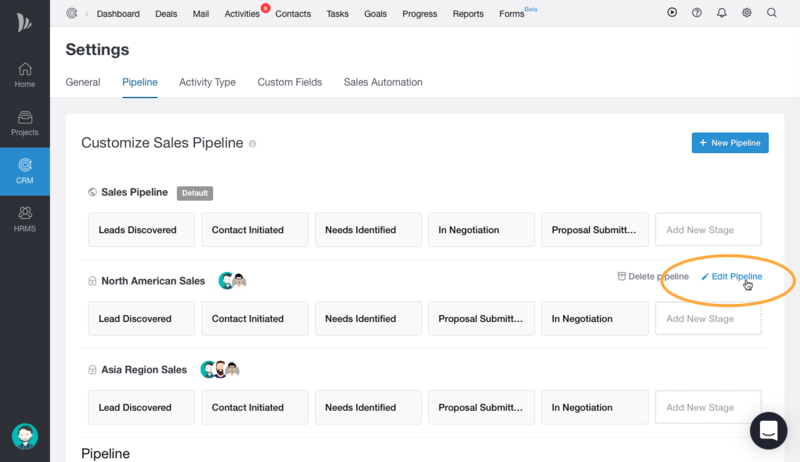 You can manage Name of the Pipeline, Set Privacy and manage Stages of a Pipeline from CRM Settings. To Add a new Pipeline, see this article. 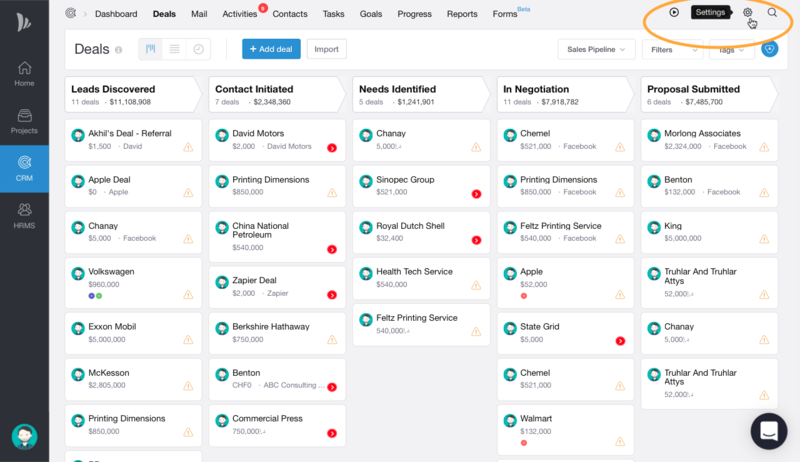 Do all the changes you would like to see in Pipeline Name and Pipeline Privacy. 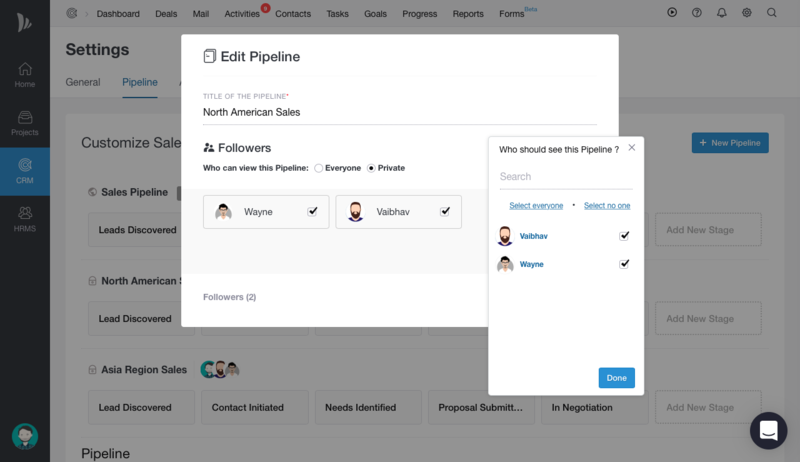 Click on Manage Followers to change followers of that Pipeline.